If your workplace has a strict dress code, it's highly likely one of the unspoken but entirely enforced rules is NO DENIM. Not a scrap of it. To be honest, I used to avoid wearing jeans to the office for fear of looking scruffy (and I work in fashion! 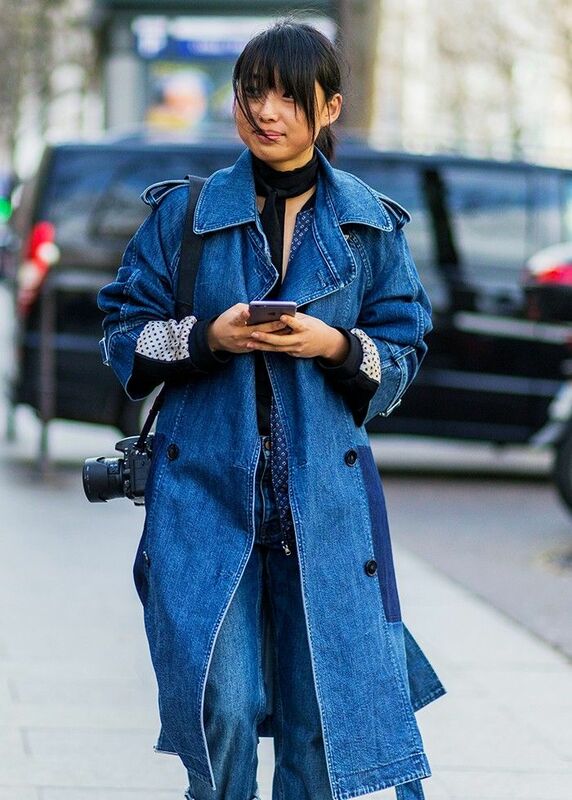 ), but I've realised—as denim has become an increasingly important part of the high-fashion lexicon—there are grown-up, super-chic, sophisticated and boardroom-appropriate ways that a girl can introduce jean pieces into her day-to-day wardrobe. 1. Opt for clean, dark washes. They instantly look crisper and more pulled-together than anything light. You'll also find designers often use these more for tailored denim pieces, so there's a doubly sleek option. 2. Do not allow distressed finishes into the mix. 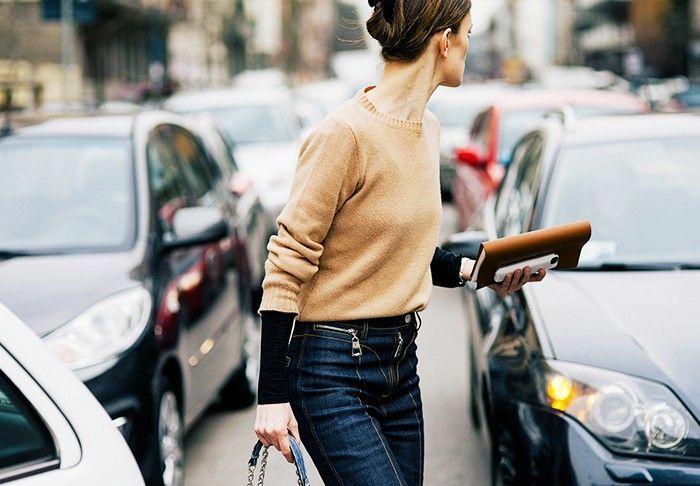 As cool as they are, ripped jeans are more likely to make a bad impression in the boardroom. A subtle, artfully frayed edge here or there won't matter but full knee-baring holes are a step too far. 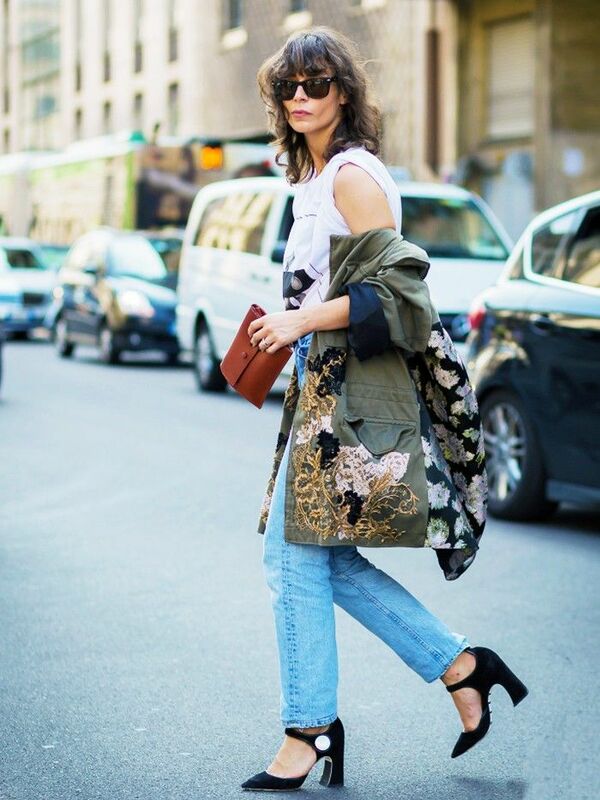 So we've rounded up some great street style looks to inspire you—and you can shop from them too! Still searching for workwear inspiration? Check out these excellent 101 office-appropriate buys!